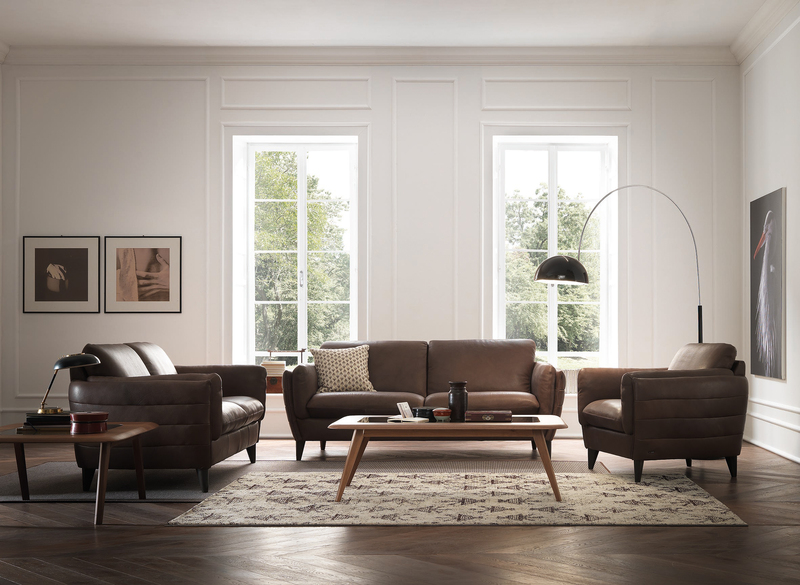 Great styling is at the forefront of this collection from Natuzzi Editions. Wooden feet and genuine leather give an air of authenticity to the model, which is offered as a sofa, loveseat and chair. Come and experience the collection at your nearest Natuzzi Editions dealer today.